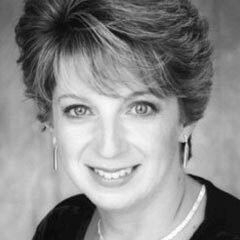 Lisa Sylvester, coach/pianist/conductor, is vocal coach and teaches courses in Diction, Vocal Repertoire and Accompanying on USC Thornton’s Vocal Arts Faculty. She is also faculty coach at OperaViva!, a summer training program for young singers in Verona, Italy. Sought after as coach and recital collaborator, Ms. Sylvester has also given presentations at the conventions and symposiums of the National Opera Association, National Association Teachers of Singing, Classical Singer, and the Song Collaborators’ Consortia. She has long been associated with the acclaimed Long Beach Opera where she has served as assistant conductor/orchestral pianist in their main stage productions of works by John Adams, Philip Glass, Leos Janacek, Osvaldo Golijov, among others. She also serves as Music Director for LBO’s Educational outreach production of the Diary of Anne Frank by Grigori Frid. An advocate for new vocal music, Sylvester has been on the creative teams for several new works. She conducted scenes from Julia Adolphe’s So Donia Speaks on Chamber Music Palisades, and was Music Director/Conductor for Teresa Levelle’s aLtered sTates on the RealNewArts Foundation series. She served as assistant conductor for two world premieres produced by First Look Sonoma: Caliban Dreams by Clark Syprynowicz and Daughter of the Red Tsar by Lisa Scola Prosek. She has also performed on several seasons of unSUNg, a summer concert series in Los Angeles sponsored by Lauri Goldenhersch, of Lauri’sList dedicated to vocal works uncommon and new.